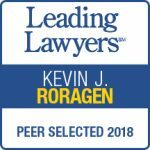 Kevin J. Roragen is a shareholder, past president and current executive committee member of the Loomis Law Firm. His practice focuses on commercial and real estate litigation, primarily in the areas of business, oil and gas, tax credit financing and affordable housing, municipal land use regulation and employment law. With more than 17 years of practice experience, Mr. Roragen has gained a depth of knowledge from representing businesses large and small, real estate developers, municipalities, professional athletes, charitable organizations and individuals in various legal matters. Mr. Roragen’s broad experience has given him a sound understanding of his clients’ concerns and needs, and how to best reach his clients’ goals through time and money saving means. He has been listed as one of the Best Lawyers in America since 2011 in the areas of commercial litigation and municipal law. Mr. Roragen remains deeply involved with the Lansing Region. He is a member of the Lansing Regional Chamber of Commerce, is a frequent speaker on employment law issues, is the former assistant city attorney for Grand Ledge, Michigan, and is on the Board of Directors for the Lansing YMCA. He has also been a guest lecturer at Michigan State University College of Law as well as the Thomas M. Cooley Law School, where he earned his degree and is active in the Alumni Association. United States District Court, Northern District of Ohio . In these companion cases, the Michigan Court of Appeals and Supreme Court both held that governmental foreclosure of property tax liens is invalid if the property owner was not afforded the protections of due process. Co-author (with Howard J. Soifer), “No Pay, No Play: The 1998-99 NBA Lockout”, Thomas M. Cooley Journal of Practical and Clinical Law, Vol. 3, p.115, March 2000. Michigan State University, B.A. (Economics, with honors), 1988 .